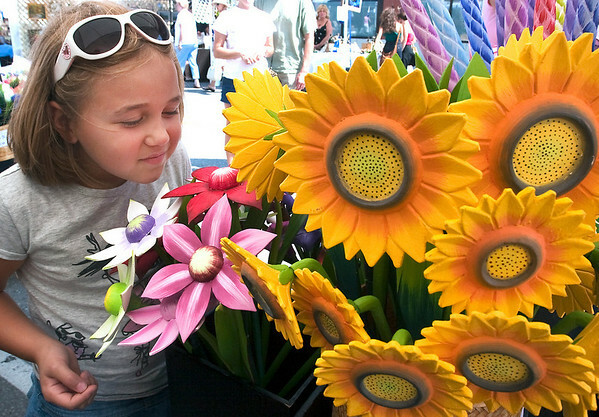 Amaya Hall, 7, smells the flowers — the wooden flowers, that is — on Cass Street during Saturday’s annual Downtown Art Fair in Traverse City. The juried show attracted 70 exhibitors, most from Michigan but some from as far away as Florida and Arizona, along with hundreds of visitors. The flowers are made from basswood and were displayed by D&M Wooden Flowers.